Norman Lindfield Nock was born at St Leonards, Sydney, in 1899, son of ironmonger Sir Thomas Nock and his wife Eliza Jane, née Simmons. In 1927 at Sydney he married Ethel E (b.1905), daughter of George W and Edith A Bradford. He died on 24 June 1990 aged 91, survived by his wife, son and grandchildren. A funeral service was held at St Mark’s Anglican Church, Darling Point. Norman Nock was educated at the Sydney Church of England Grammar School. 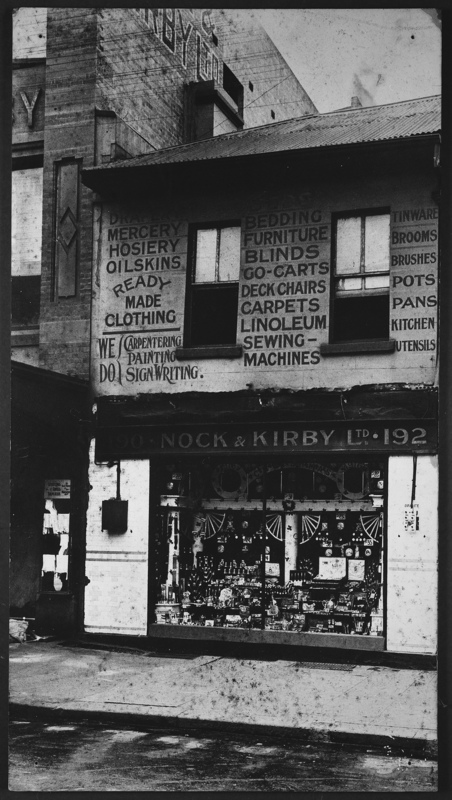 He worked at Farmer & Co in Sydney and in department stores in England and New York before joining the staff of his father’s retail hardware store Nock & Kirby Ltd in Sydney. He took over as Chairman of Directors in 1925 when his older brother Harold died. He expanded the business and in 1933 opened a lavish new store in George Street. He was president of the Retail Traders Association and a director of David Jones Ltd and Wentworth Hotel Ltd. Nock & Kirby Ltd was taken over by Burns Philp & Co. in 1983 and the shops were renamed BBC Hardware. Norman Nock was vice president of the R.A.C.A. and chairman of directors of Sun Insurance Company. He lived at Vaucluse. He was a keen sailor and is acknowledged as having introduced the Dragon class yachts to Australia. Nock was chairman of the Australian Comforts Fund in 1943 and was chairman of the Lord Mayor’s Patriotic and War Fund of NSW. From 1939 he was chairman of the Royal North Shore Hospital where the Sir Norman Nock lecture theatre is named in his honour. He was a member of the National Health and Medical Research Council. At his death it was requested that donations be sent to the Royal Blind Society. Sir Norman Nock was knighted in 1939. 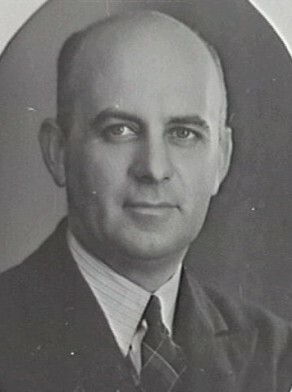 Norman Nock was Alderman for Gipps Ward, 3 December 1934 to 5 December 1941. He was a Member of the City Planning and Improvements Committee, 1936-37 and 1940-41 and its Vice-Chairman in 1936 and 1937. He was a member of the Works Committee, 1940-41, the Electricity Committee, 1935, 1937, and 1940-41, the Health and By-Laws Committee, 1935-36, and the Finance Committee in 1935 and 1937. He was Lord Mayor in 1938-39.